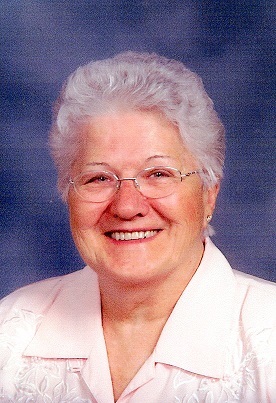 Geraldine Kaye Nathan of Thomas Twp., formerly of Chesaning, died Thursday, February 7, 2019, at Covenant Cooper. She was 83 years of age. Geraldine was born December 19, 1935, in Owosso to the late Harold and Muriel (Frances) Deuel. She was a resident of Chesaning most of her life. She married Robert Selfridge in 1954. He preceded her in death on May 26, 1962. She then married Eugene Nathan on October 27, 1962. He preceded her in death on November 8, 2011. Mrs. Nathan was employed by Saginaw Steering Gear for 12 years. She was a member of Saginaw Valley Nazarene Church and Saginaw TOPS. Geraldine enjoyed sewing, crocheting, baking and shopping. Surviving are: children: David Nathan of Marion, Jova (John) Moffit of Saginaw, Robert Nathan of Saginaw, Todd (Cheri) Nathan of CO, Jeri Lynn Mills of Montrose; 14 grandchildren; 24 great grandchildren; siblings: Beverly (Mike) Ryan of Owosso, Jackie Ryan of Williamston, Gary (Shirley) Deuel of Evart; son-in-law, BJ Sims of Oakley; many nieces and nephews. She was also preceded in death by: daughter, Heidi Sims on April 14, 2012; grandson, John Allen Moffit; daughter-in-law, Melody Nathan; brothers, Eugene Wright, John Wright and Ron Deuel; brothers-in-law, Dale Schnebelt and Charlie Ryan. Rev. Dwight Kingsbury will officiate at a memorial service 12 Noon Monday, February 11, 2019 at the Misiuk Funeral Home in Chesaning. Visitation will be from 10 am until time of services at 12pm noon. Cremation has taken place. Inurnment will be in Oak Hill Cemetery, Owosso at a later date.